Grab partners with CapitaLand to bring a better retail experience to customers and create greater value in their everyday shopping. The one-year tie-up will enable both Grab and CapitaLand to capitalise on the two loyalty programs – GrabRewards and CapitaStar. Starting today, Grab users in Singapore can convert GrabGRewards points into STAR$. This gives users access to perks such as CapitaVouchers, on top of existing benefits from GrabRewards merchants such as LiHo, Starbucks, Burger King and more. Participating merchants of the CapitaStar programme will likewise benefit from Grab’s extensive user base, many of whom access the Grab platform daily for various services. CapitaStar members will also be able to enjoy exclusive Grab perks such as Grab promo codes. Grab will work with CapitaLand to introduce GrabPay’s cashless solutions to merchants. Gary Wong, Head of GrabPay Singapore said, “Creating a seamless experience in our customers’ everyday experiences including transactions is a core step for Grab in achieving our vision of becoming an everyday super app. Just last month, Grab also partnered with AsiaMalls, which establishes GrabPay as the preferred payment service provider across AsiaMalls’ six shopping malls in the island starting January 2019. 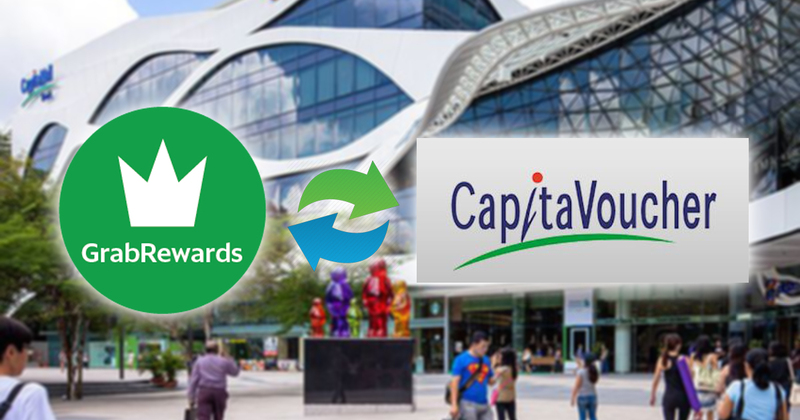 The partnership with CapitaLand only further establishes GrabRewards as a loyalty programme that rewards users for their everyday transactions. Tips on planning a Six-Day, Five-Night Dubai Trip for less than SGD 1,800!